Through good times and difficult times, communities throughout New York City have always come together to meet the immediate needs of neighbors, celebrate strength and resilience, and mobilize for improved conditions and services. During times of crisis, those on the front lines of providing help and healing to community members are just as affected as those seeking help, and it is essential that any coordinated crisis efforts recognize and respond to the needs of the helpers. Vibrant Emotional Health’s Staying in Balance toolkit is a resource toolkit for organizations that work with people in the community, including human and social services, civic and arts organizations, and many others in the nonprofit sector. These are the organizations that provide essential support and services to New Yorkers in need. This toolkit is designed for use by supervisors, managers, and frontline staff, with the goal of helping employees, volunteers, and program participants cope during times of high stress. 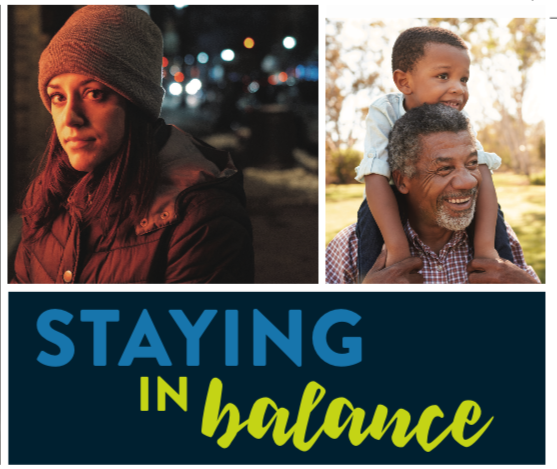 Check out the Staying in Balance toolkit here.